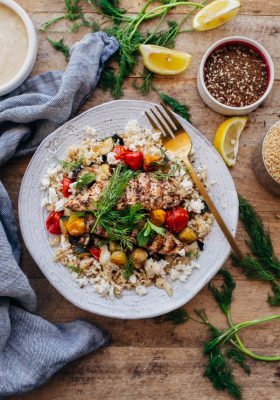 This easy lemon tahini sauce is made with just two ingredients and is the perfect accompaniment to grilled vegetables, chicken, meat, seafood, or greens. You can even thin it down and use it as a salad dressing. 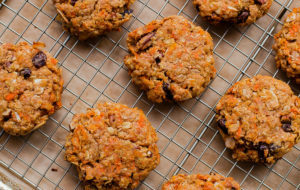 Naturally vegan, gluten free, dairy free, and paleo friendly. If I’ve learned anything from my time spent in the kitchen, it’s that one should never underestimate the power of a good sauce. A good sauce can make or break a dish. 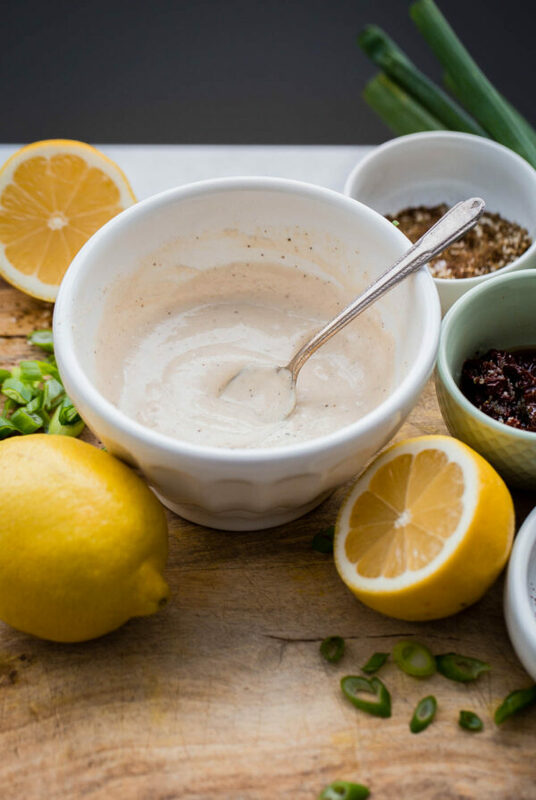 This easy lemon tahini sauce is made with just two ingredients: tahini paste and lemon juice. You’ll also need basic kitchen staples like salt and pepper. 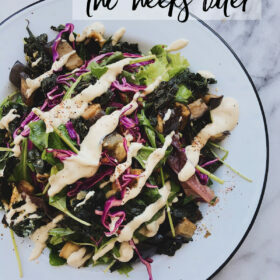 Depending on the flavor that you’re trying to achieve, you can customize or tweak this tahini sauce with any number of additions: fresh herbs, fresh garlic, etc. Pure tahini is sesame seed paste. White sesame seeds that have been ground down until smooth, similar to nut butters. It is a staple in Middle Eastern cuisine – most commonly associated with hummus – and I always store a jar of tahini in my refrigerator. 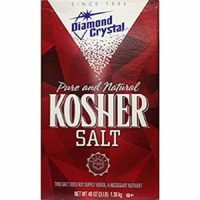 It is one of my favorite kitchen staples. Tahini paste has a rich, savory, and slightly bitter flavor. While you can make tahini from scratch, I recommend buying the store-bought tahini pastes to save time and hassle. 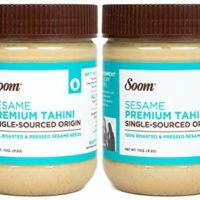 Any store-bought pure tahini paste will work in this recipe, but I have a particular infatuation with Soom tahini (affiliate link). Ethiopian tahini, such as Soom tahini, is generally considered the best. I strongly recommend this brand, particularly if you have been disappointed with other store-bough tahini pastes, but have also been impressed with Trader Joe’s tahini as well. This tahini sauce recipe can be prepared in a small bowl with just a whisk or spoon. No need for a blender or food processor (unless you are adding herbs or other ingredient that require processing). Tahini paste is by nature very thick, so we’ll be thinning the mixture down to a sauce consistency by adding cold water. Tahini will naturally seize up at first, but just keep adding water until it reaches the desired consistency. thick tahini sauce also makes a great dip for vegetables, crackers, etc. 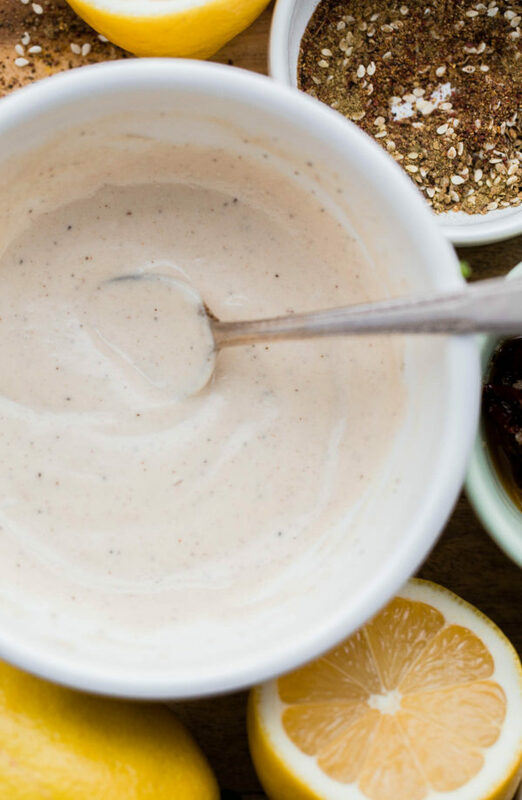 This delicious two ingredient tahini sauce is savory, zesty, and goes well with everything! 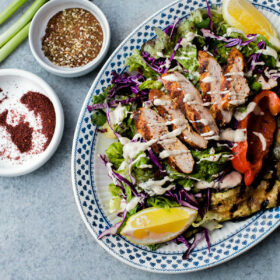 Drizzle on grilled vegetables, chicken, meat, seafood, or thin it down and use as a simple salad dressing. 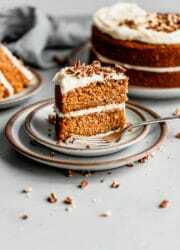 This recipe yields 1/2 cup; double or triple to desired quantity. Customize or adapt with fresh herbs, ground spices, or fresh garlic! In a small bowl, whisk together the tahini paste and lemon juice. It will be become thick. Slowly whisk in the water until the sauce can drizzle from a spoon. Add the salt and pepper, and adjust for taste if necessary. If the sauce is too thick, add another teaspoon or so of water as needed. Stir in any optional additions, if using. Leftover sauce can be placed in a covered container and refrigerated for up to a week. The dressing will thicken in the refrigerator. Add a touch of water to thin it down if necessary, and adjust seasonings to taste. when using a fresh jar of tahini sauce, be sure to stir it well with a knife as oil has a tendency to seperate. 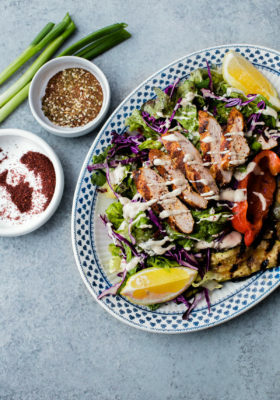 this tahini sauce goes well with so many things! 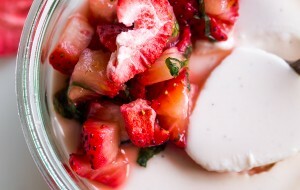 Drizzle on roasted or grilled vegetables, seafood, chicken, meat, or thin it down and use it as a simple salad dressing. reduce the water to make a thick dip. increase the water to turn it into a light salad dressing. Once I learned how to make good sauces, it was a gamechanger! I’m learning to slowly love tahini so this is perfect! 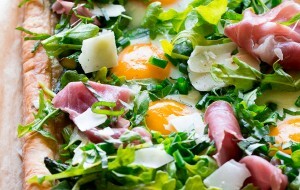 It really is some of the simplest foods in life that are the tastiest! Could definitely see myself drizzling this over everything. 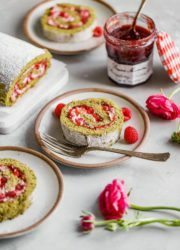 Could I just dump it into a blender and make it instead of mixing it in a bowl? Absolutely! 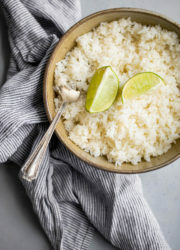 You can also use an immersion blender or small food processor. I just prefer to mix it by hand because it’s easier to clean, especially if you’re not making a large batch. 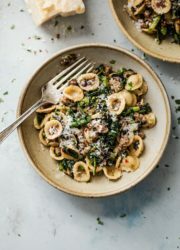 This great, simple recipe has spiced up my family’s vegan food a few times now and we absolutely love it. Whip it into some fried rice noodles and the people eating it won’t know what hit them. 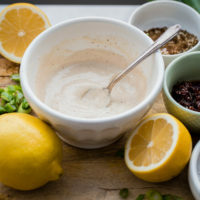 The more minimalist version of it (tahini, lemon, salt and pepper only) works with anyone suffering from IBS as well. You may also add a dash of coco amino sauce if you want to spice it up a bit. Thanks a million for the recipe! This sauce was so easy to make and it was perfect for my oven baked chicken shawarma. It really imparts a wonderful flavor to the chicken and veggies. So happy to hear that! It really goes so well with so many things!